Plaid Stallions : Rambling and Reflections on '70s pop culture: Exer-Gym! I am very creeped out by the amount of thigh that is on display! 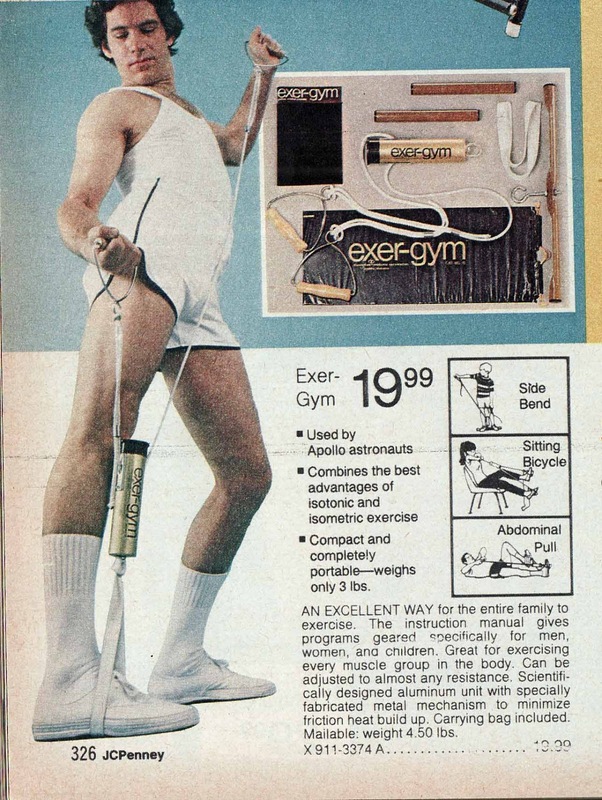 Oh yeah, I'm going to work out with my astronaut Exer-Gym this morning and then chug a big glass of Tang! You guys can laugh, but Omega SA has been selling their Speedmaster Professional as the NASA "moon watch" for almost fifty years now. Looks like they should have included some pants with this set. If only there were a video of this guy demonstrating by saying, "Exer," on the relax and, "GYM!" on the flex.